Click thumbnails to view larger. 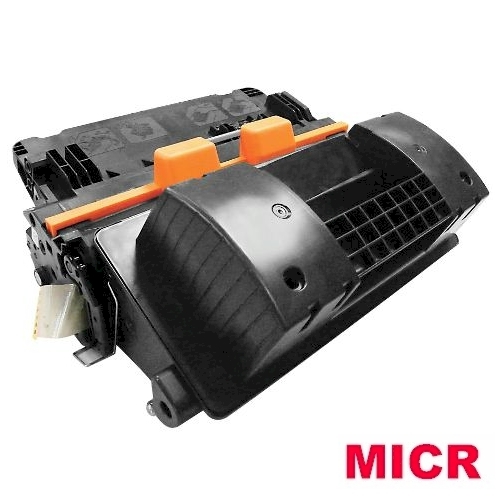 CF281A MICR, HP M604 M605 M606 M625 M630 MICR Toner is a modified HP black CF281A MICR cartridge used for check printing in your laser printer. Most HP laser printers can be used as a laser check printer. All you need is a MICR cartridge, check paper, and check printing software. You will be able to print check stubs, print checks in quickbooks and any other check software. This HP M604 MICR Toner delivers excellent print value. This HP HP M604 M605 M606 M625 M630 MICR Toner, is a Modified HP black toner used in MICR check printing. 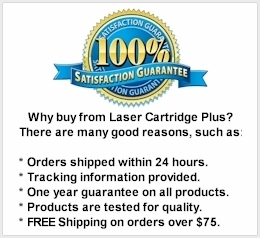 For use in: HP M604 M605 M606 M625 M630 Series and MFP Printers. Compatible with MICR Cartridges: CF281A, CF281X, 81A, 81X. Page Yield: 10,500 @ 5% coverage. Sign up and stay informed on Sales, Special Offers, and get Special Discounts. Subscribe here.